Lucy curled up in some minky fabric I was sorting by color, and decided it was nap time. I’ve seriously never seen such a HUGE yawn!! 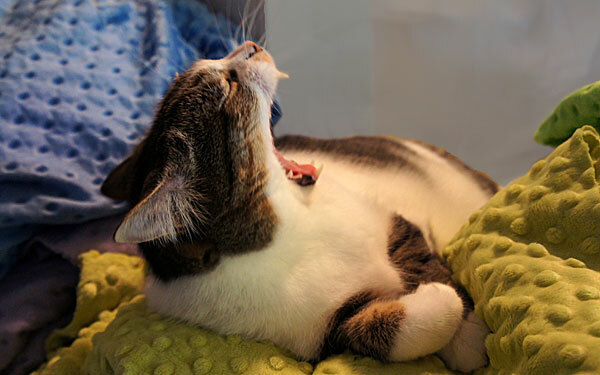 This entry was posted in Caturday, Pets and tagged cat, caturday, yawn. Bookmark the permalink.